I was at home watching TV. Our living room has a huge window that has an impressive view on the sea. From the couch, I can look through the window and see a broad landscape, with no obstacles, just sea and sky. 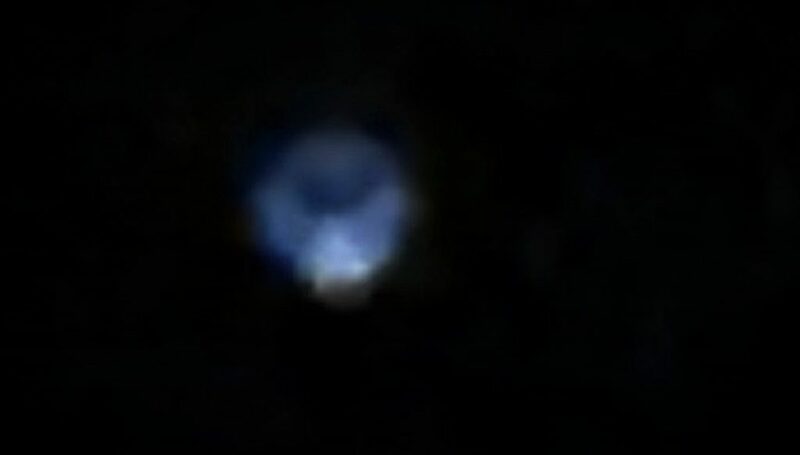 Around 9.30pm, I see an unusual light in the sky, one that looks like a huge star, so I stand up and start to observe. I knew there was the event of Jupiter passing on Venus, but when I checked the time for that specific event it didn’t correspond to what I was seeing.  So I decided to take my professional camera to take some pictures so that I would be able to zoom in the image and understand better what was happening, also because the look alike star I first saw, had changed shaped, came closer and descended to a close point to the horizon, above the sea. 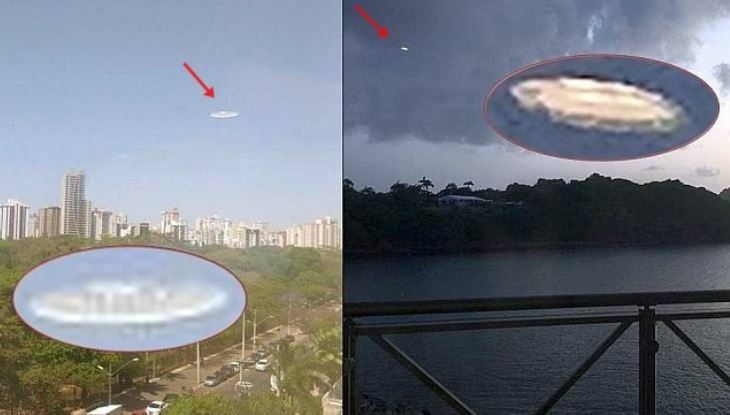 I start to take some pictures with the camera, sit back on my couch, zoom in the pictures and get absolutely shocked of what I see: – in the first picture, there are two UFO. One that I didn’t see with my eyes because I was too focused on the light point. 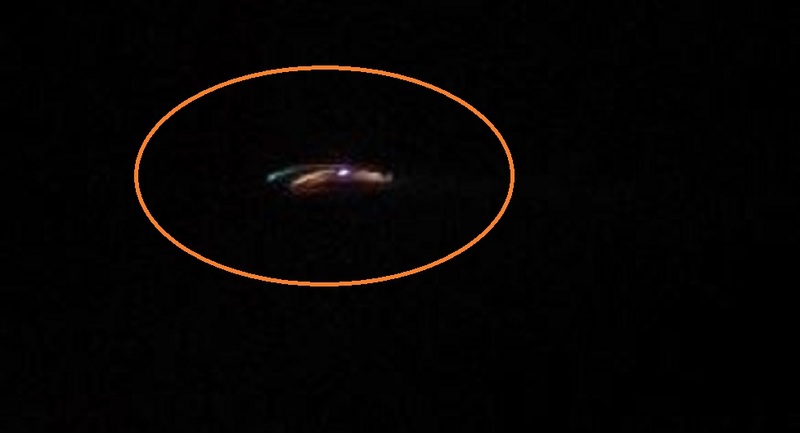 It was in a kind of round boomerang shape with some kind of multicolour led lights around it. I shot with a 2 seconds exposure and that object is perfectly sharp, it was static. 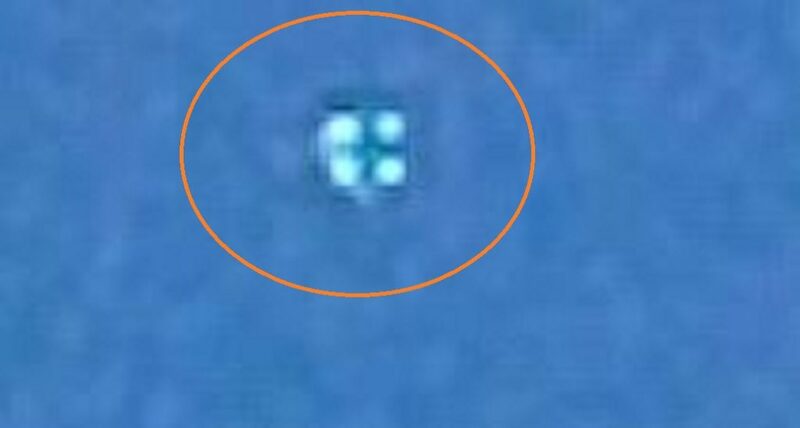 – the second UFO (the one I saw), that is in all my other pictures, has a very bright light and some kind of green “wing”. 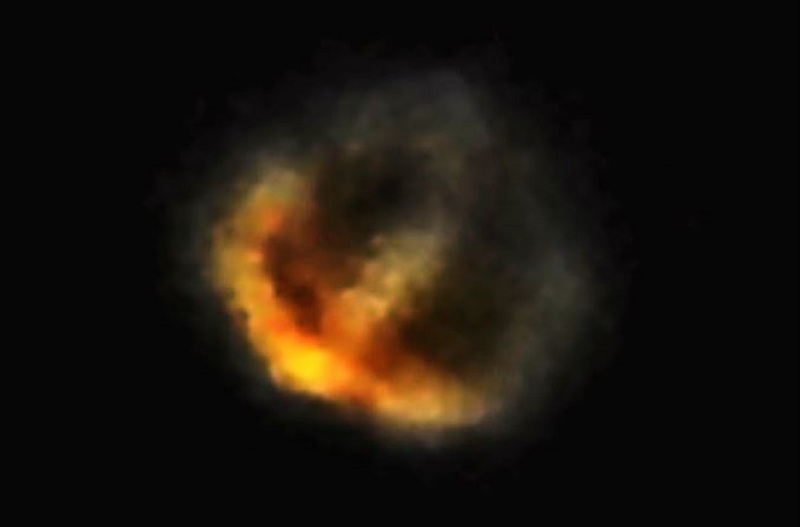 I lost sight of it because it simply vanished by becoming smaller and smaller, and appeared again two/three times with about 10 minutes interval. 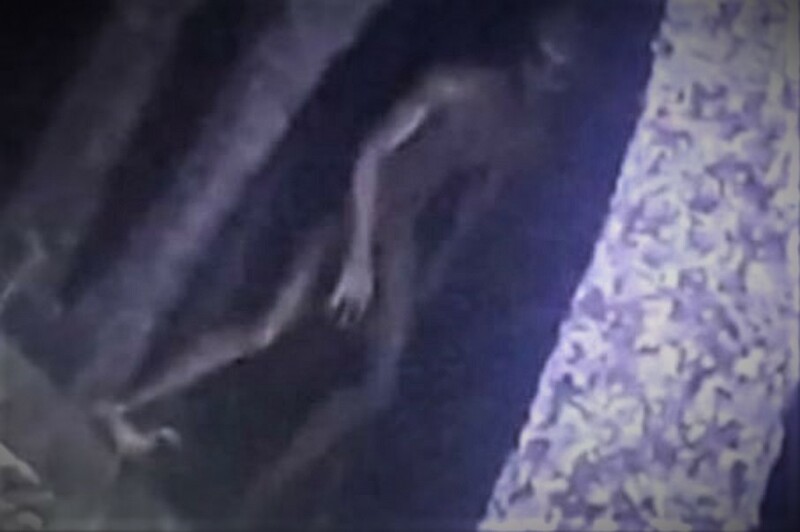 I wrote to my neighbour for her to look outside and see this strange thing and she saw it too. 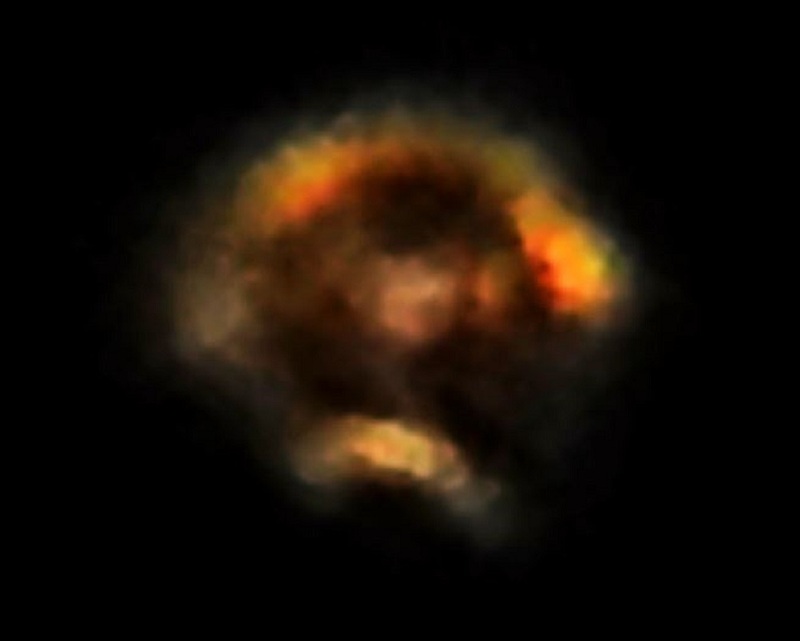 I’m not sure it was the same because it was the 4rd apparition and it was almost an hour from the first apparition and I was feeling very dizzy, confused and drained. I knew I had evidences of what I saw and that was enough to make me feel more calm. I felt like I was seeing something very special and unique, but at the same time I felt scared because I didn’t know what it was and if it could harm me somehow. 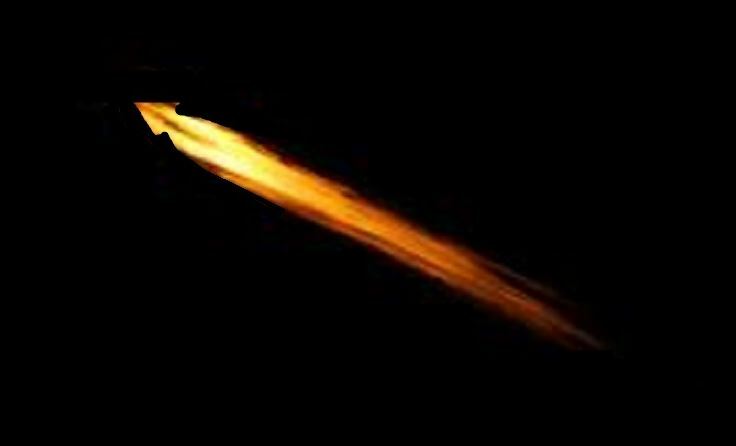 Hi Ken: I was sky watching and it was quite cold out I had been outside for about 45 minutes and I was about to go back inside when I spotted a slow moving light that was quite bright and had a yellowish tinge to it.  I wondered what it could be so I looked through my high power zoom binoculars and began to focus in on the light. 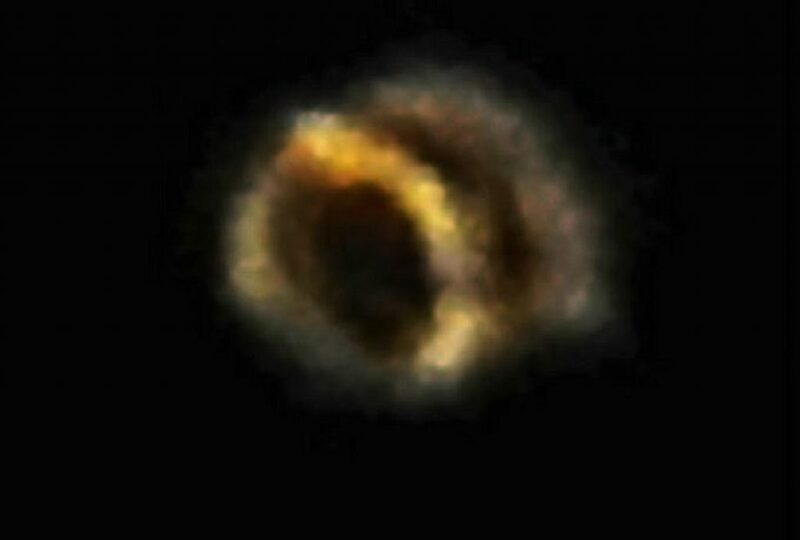 Right away I could see that the light was coming from an object that was round with a centred inner circle. 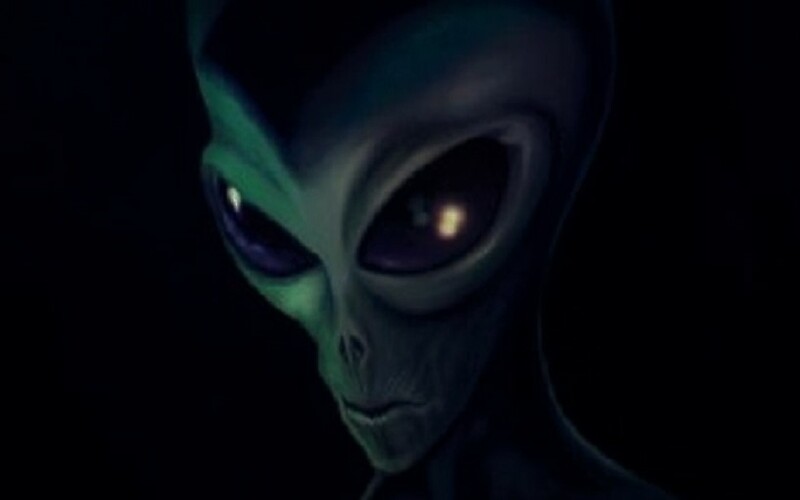 The inner circle part of the object was were the light was emitted from. 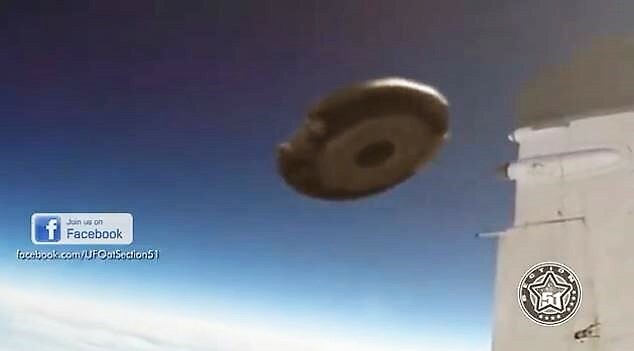 The object was quite large and it’s surface appeared to be bumpy and uneven. It was definitely something strange and out of the ordinary. 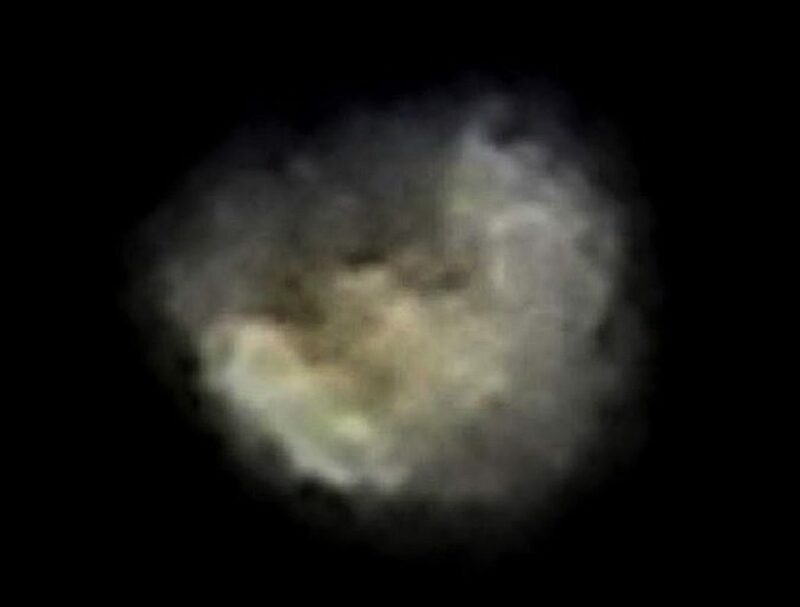 It was very odd looking… I had my Nikon P900 camera set up on a tripod ready for use so it was very easy for me to turn the camera in the direction of the object and start shooting while observing it through my high powered binoculars. The object then changed shape and began to open up revealing what looked like an uneven rounded globe inside. I was really confused by what I was seeing. 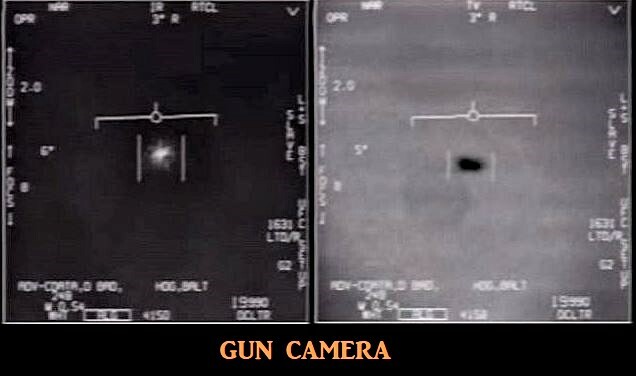 JOHN MOONER IS A UFOLOGIST FROM ENGLAND AND HE IS MY CHIEF INVESTIGATOR FOR WORLD UFO PHOTOS. I was walking outside to the parking lot. Saw an employee pointing at the sky but didn’t notice it til I paid attention to the direction he was pointing so I got my phone camera out and took pictures and video. 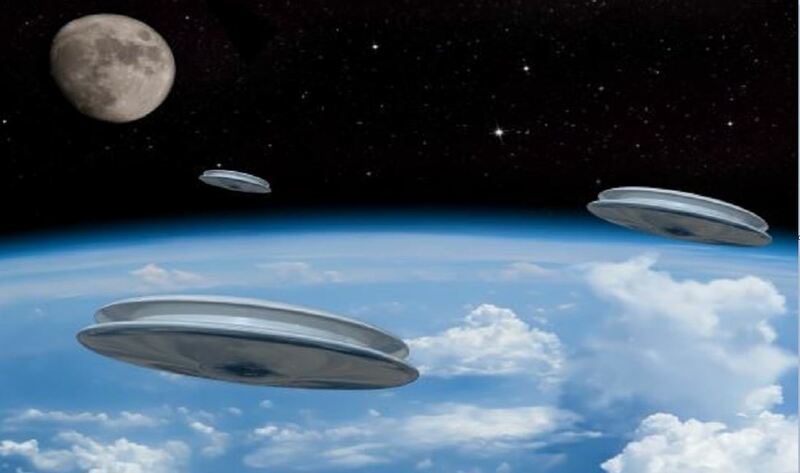 We thought it was a satellite but then noticed that there was nothing said in news about any sightings of satellite as they always notify people. At first the lights were very bright and it was cloudy outside.  And as the clouds passed in front it reflected the shape of the object. 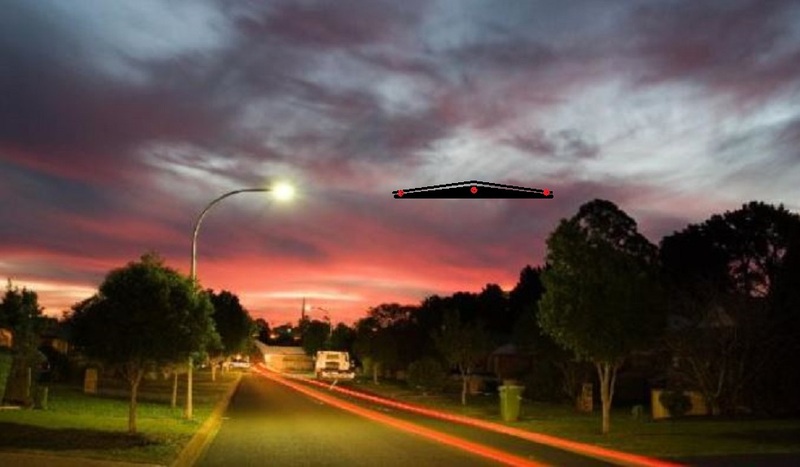 It only showed 2 lights then turned direction and saw 4 bright lights and they were flashing. I was excited because I enjoy watching the sky such as clouds and eclipse, satellites being moved from places, asteroid showers, etc. It is interesting to me other people were also taking pictures and video. 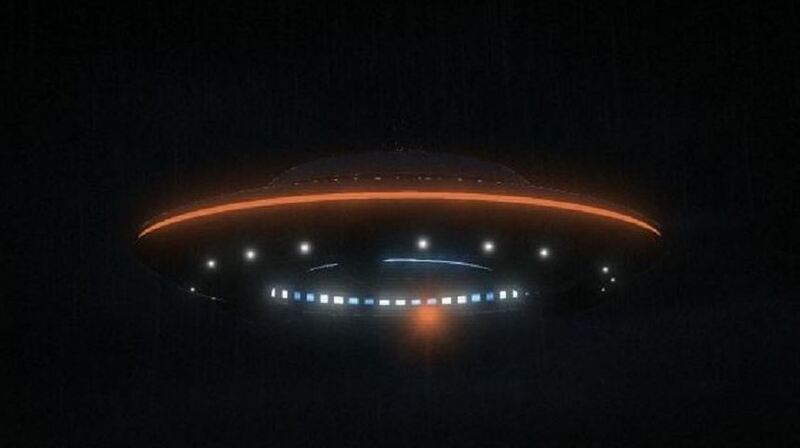 I called the news station and they asked if I was also calling about the lights in the sky because many people were calling about it. I sent them the pictures and said they would investigate, but I don’t know if they found out what it was.  A cloud passed in front of object and it was gone. This changes everything I’ve always been a skeptic, until this day. We are not alone and I am now 100% certain about this. A very unsettling event, here it goes; 12 May 2016 @ 2300 (Shanghai, China) My wife and I went out in the evening to walk our dog and headed to a newly built public park about 2 km west of the HongQiao airport. It was a great and comfortable evening with a clear night sky with temperature ranging between 20-22degree Celsius. We actually walked quite a while during that evening and so needed to take a rest somewhere to cool down our dog. So we headed to a bridge structure in the middle of the park. My wife sat on the bridge, the dog lied down resting, and I lied down flat on my back, looking up in the sky. I personally like looking at stars during a clear night sky so whenever I get a chance, I take it and simply lie down flat on my back like this and look up; make wishes, say hi to my long-gone love ones, etc. Weird behavior I agree but there you go – that’s me! 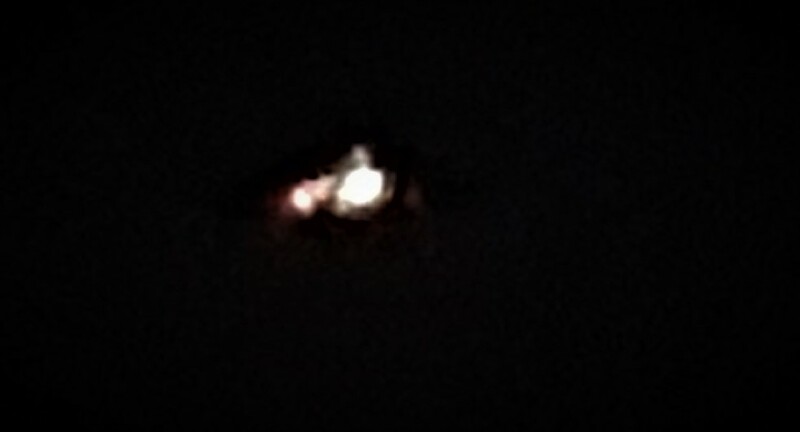 It’s at this moment that I’ve spotted this V-shaped (triangular) craft with 7 amber color lights on it. 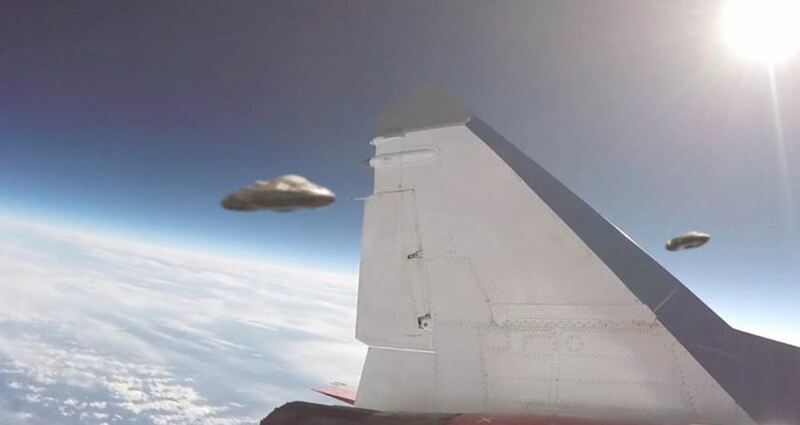 The craft was heading north and was traveling way above supersonic speed. Certainly faster than anything else I’ve seen flying before (e.g commercial or military fighter jets). I’d say about twice faster if not more. 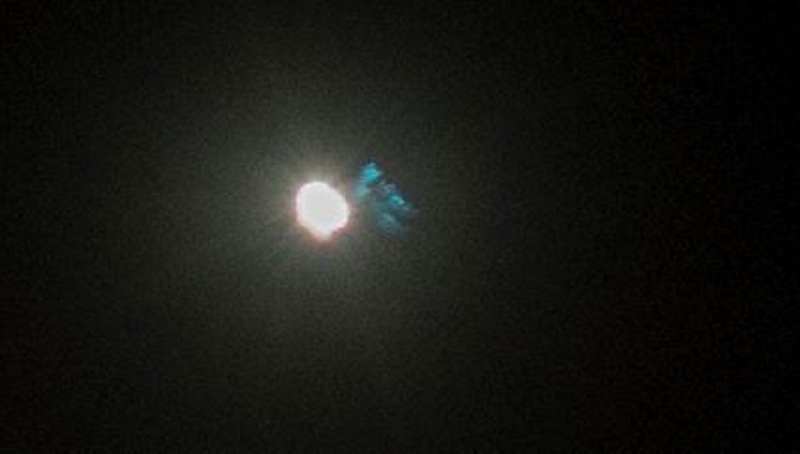 As it passed in a straight line right above us, and 3-4secs later, you could only see the two lights from its tail and it instantly disappeared. No sounds whatsoever, completely silent. When I first saw the craft I instantly sat down and pointed the sky with my finger and shouted ‘ufo ufo ufo’ to my wife (it doesn’t take long to figure out what’s happening when you see such a distinctive shape in the sky, 1 second, literally). All happened very fast however. As I was pointing up and shouting ufo with a breathless little girl tone, my wife tough I was pulling a silly joke on her so it took her quite a while to finally look up. Took her about 2 secs to realize I was NOT joking and then looked up.  She unfortunately missed it but reported seeing a strange formation of clouds where the craft passed – where I was pointing with my finger in the sky. She also reported that the clouds she seen forming disappeared gradually but rapidly. V-shape craft description Color: It all happened very fast so I had literally 3-4 secs to process what I was seeing. 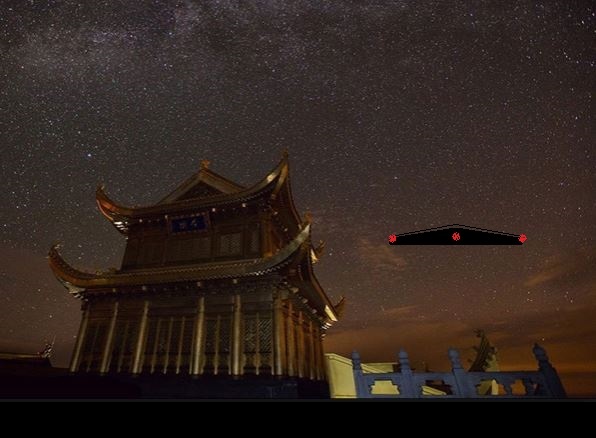 The craft was the same color of the sky on that evening – possibly reflecting off the yellow’ish ground lighting of the Hongqiao district. It was certainly not transparent as I could see its very distinctive v-shape. I was slightly gray’er than the background night scene. Size: Hard for me to judge its size with no reference nearby. The only thing that was up there were stars and those aren’t much of a reference for sizing. I can’t even say for sure what altitude this thing was flying at. I could see some of the details clearly so it had to be more or less 2000meter above us. Like I said, all happened very fast so this part is rather missing. From my angle, and judging from other commercial aircrafts flying during that same evening, it was certainly 3 to 4 times bigger than the size of a regular 747 jet plane. 7 lights: 7 or 9 lights, I am not 100% sure. 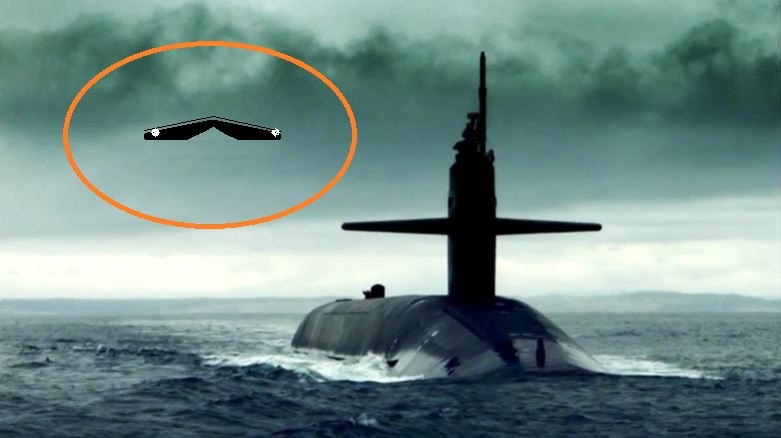 Certainly had one on its nose and one on each side of its tail with 2 (or 3) on the each side of the craft itself. Those were clearly solid amber color now that I am 100% sure. Amber as between yellow and red. Not flashing, not pulsing, just plain simple amber dots evenly distributed around it. I was outside with my husband and daughter decorating. We noticed it when my husband asked “what’s that?”. 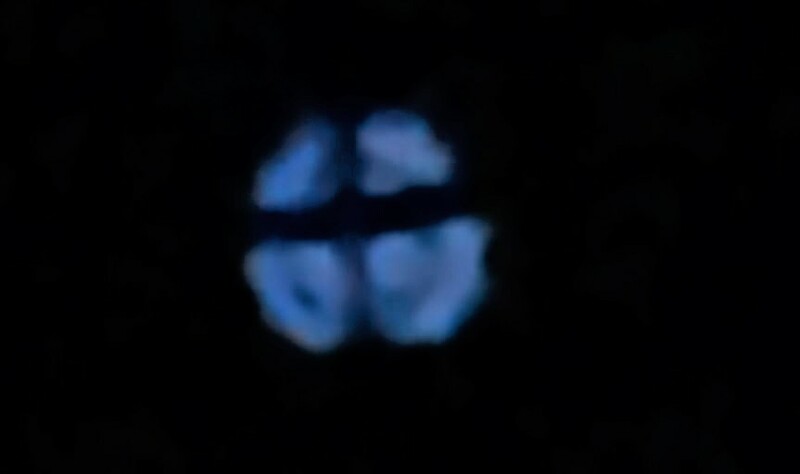 I initially thought it may be a floating lantern but it was traveling very fast and straight and was much larger than plane lights. We live in a townhouse development on the water. We followed the object from our front yard, walked with its path around to the backyard which is on the bay. Once it was over the water it appeared to descend a bit, stopped and hovered, and than disappeared above the water but below the cloud line. Our animals were going crazy and I was outside absolutely yelling “UFO”. Our neighbors who were walking their dog ran inside after seeing said object. I couldn’t take my eyes off of it, I felt a rush and a buzzing feeling. It was almost electric, it definately gave me energy. Of course that could just be excitement because I just saw something new. NOTE: The above image is CGI.